← Are You Practicing Safe Social Media? A friend of mine recently posted a question on Facebook, asking his friends which critically acclaimed film or blockbuster movie they just didn’t enjoy like the rest of the world. Lots of answers were given. O, Brother Where Art Thou. The Hangover. Star Wars (my answer). Lots of arguments were started. That same week I happened to catch a movie on TV that I do enjoy–one I’ve seen a few times before and had no trouble watching again. The romance, I think, is great. It’s got good looking people in it. It’s a movie I really, really like. It was a box office bomb and to the critics, a mess. When I say the movie bombed, I mean it. The movie is Leap Year. You know, the one that came out a couple of years back starring Amy Adams and Matthew Goode? It’s not my favorite movie or anything, but it’s a cute, happy movie that leaves me feeling good when it’s over. Maybe it’s because it took place in Ireland and you know, good looking guy, Irish accent…yeah, that’s a recipe for success, one would think. Maybe I like it because it’s got some really funny bits. Maybe it’s because no matter what she does, Amy Adams comes off as adorable. Maybe it’s because the back-and-forth romantic tension is great. Maybe it’s because when Declan utters the line, “Mrs. O’Brady-Callahan, where are ya goin’?” it’s one of those melty-swoony moments. Regardless of how the formula adds up, critics hated it, the majority of audiences hated it, heck, even Matthew Goode hated it and stated that he only did the movie because he was contractually obligated. 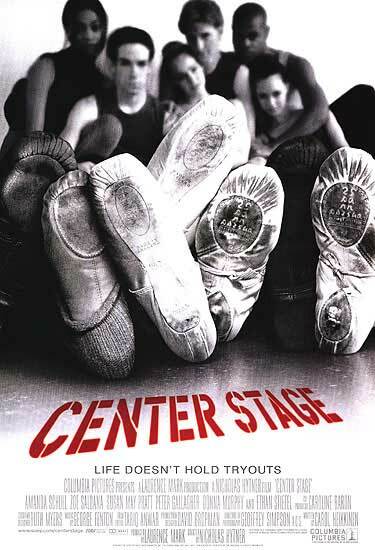 Center Stage— Dance movie starring Peter Gallagher and Amanda Schull. There’s a sequel that’s pretty good, too. 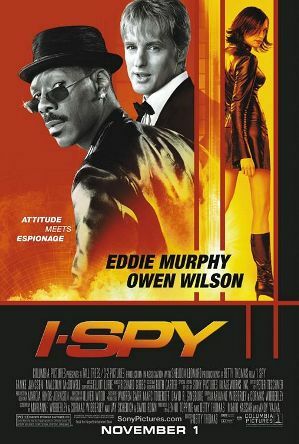 I Spy– Starring Owen Wilson and Eddie Murphy. I have no idea why, but this movie makes me laugh hysterically. I distinctly remember just about falling out of my chair when I saw it in the theater. Don’t judge me. This is subjectivity in the arts at its finest, folks. 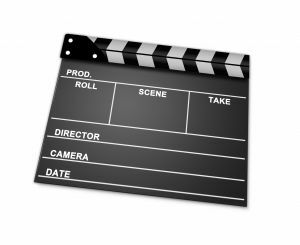 Share with me: Is there a box office or critical bomb that you love, even though the rest of the world hated it? Love Center Stage! One of the Christmas movies my husband and I watch every year is Christmas with the Kranks. Yeah, it’s pretty ridiculous, but you have to admit there are some funny parts in it. I have to admit, I’ve never seen Christmas with the Kranks. I’ll have to remedy that. I like the Step Up movie franchise. I can’t be alone..the 4th one is coming out! But every time I say I love those movies, I get eye rolls, laughing and overall dislike for the movies. I love dance movies so I’ve seen them all, but I haven’t loved them a whole ton. I like 2 Jennifer Lopez movies that most people either didn’t see or didn’t like. The Back Up Plan and Enough. They are 2 very different movies but I enjoyed them both. I did see Enough– years ago. I haven’t seen The Back Up Plan yet, but isn’t Alex O’Loughlin in that? Yeah…I think I need to rent that asap. That is hilarious how you loved Leap Year. Everything is so subjective. Case in point. We are basically the same person in a different body, but I couldn’t get through Leap Year. I watched a half hour then turned it off. A movie/book that was super successful that I just didn’t like very much was Water for Elephants. I felt like such an odd man out. I thought it was boring. lol. So you mean to say that Leap Year isn’t your most favoritest movie ever? 🙂 What’s wrong with you? (And the rest of America?) It’s not my favorite movie, either, but it’s cute. I never read Water for Elephants or saw the movie but I heard a lot of negative buzz about it from people who did. Oh Katie, noooo! Not boring! No. Yes, subjectivity for sure. Hmm. I’m not sure everyone loved We Bought a Zoo as much as I did. But I did, I really loved it. We haven’t seen that yet, but it’s on our rental list for this summer for sure. I thought it looked cute. I LOVED Leap Year! I made my family watch it one night and they all thought I was crazy but it just all worked for me! The fall before Matt and I started dating I think I made him watch Center Stage about 20 times! Still love it today! You and I have always had similar tastes in movies and books. 🙂 I love that about you. So, whatcha reading now? Well, I’ve never seen Get Over It! lol. I can’t think right now of a movie I liked that flopped. Must go eat breakfast. Yeah, the whole premise of the movie is seriously dumb. I mean, really. It’s like a rule that you have to roll your eyes at least three times while watching it. But still, cute. And how could you not love the dialogue? “Trow ’em in de wash, dey’ll be grand!” Sounds like the kind of advice my husband would give. Or how about: “She named her suitcase Louie. She’s a crackpot.” Great facial expressions too. Such a cute topic! I’ll have to say, I can’t stand any of the sequels, but the first Step Up takes the cake on this one. The first time I saw it with my best friend, we were so bummed it ended that we restarted it and watched it all the way through again. Loved the ballet meets hip hop! And Channing Tatum just isn’t too bad anyway…if I can admit that on my husband’s sister’s blog! Others I’m embarrassed to enjoy: anything Amanda Bynes. What A Girl Wants, Sydney White (the sorority girl in me died), and of course She’s The Man (a spin off of Shakespeare co-starring, yep, Channing Tatum). Honestly my list could go on and on because my taste in movies can be anything but normal, but I’ll spare myself the embarrassment here. Thanks for such a fun thought, Jenny! You got the whole “Step Up” franchise right, too – the first is by far, the best. I totally should have put She’s The Man on this list!!! I LOVE that movie. Amanda Bynes slays me. And yes, K, it’s okay to call Channing Tatum eye candy. 🙂 B says he’s the worst actor in America– I say I don’t care. 🙂 I see a She’s The Man movie night in our future!! I agree- 1st Step Up is the best!! For some reason I love the second Mission Impossible movie. Everyone else tends to look down on it as the worst, but I’m a fan! Most of my bad movies that I like are action films. Give me one good explosion and you’ve got for for an entire movie, ha ha. Lol. So, did you see I Spy? There are explosions in that one…and it’s hilarious. I have to admit, I did see that one a long time ago and liked it. You’re right! Big explosions, and Eddie Murphy when he was still pretty funny. I never saw Mission Impossible 2. I’m not a big Tom Cruise fan, but I did see the first one and the most recent one. Ghost Protocol wasn’t bad. I kinda liked it. Point Break is probably one of my favorite movies of all time. I’m pretty sure the critics didn’t agree with me. Patrick Swayze, Keanu Reeves and Gary Busey what else do you really need? I would give just about anything to be Bodhi. Maybe it is so good because it is so terrible. I could watch that movie just about everyday. You an my hubby. He loves Point Break. He loved the “Point Break” reference in Avengers. Michael, I LOVE Point Break! It made $83 million and everybody loved it when it came out. Chasing Liberty…isn’t that Mandy Moore, too? I need to watch that one, I guess. Yes, it is Mandy Moore. It was really cute – same as with “Because I Said So” with is also with Mandy M. She may not be the best actress but she does well enough for the roles. Same as with Amanda – but then, I think she has great comdedic timing. This is a fun post. I’ve wanted to watch Leap Year … and now I will, based on your recommendation. Trying to think of a bomb of a movie that I like, but I’m too busy scribbling down everyone else’s recommendations! Beth, if you hate it, you’ll be just like the rest of America. 🙂 Just keep that in mind when you go to the video store. Howard the Duck — I think I’m the only person besides George Lucas who liked it. Green Lantern lost money. I don’t care – it was perfect. A Sound of Thunder – one of my favorite movies based on one of my favorite short stories. They actually ran out of $$$ while filming and finished the effects with a home computer. I don’t care – great story. I don’t even want to tell you that I haven’t seen Howard the Duck or A Sound of Thunder. Please don’t make me watch them. I haven’t seen Leap Year, yet, but now my curiosity is piqued! 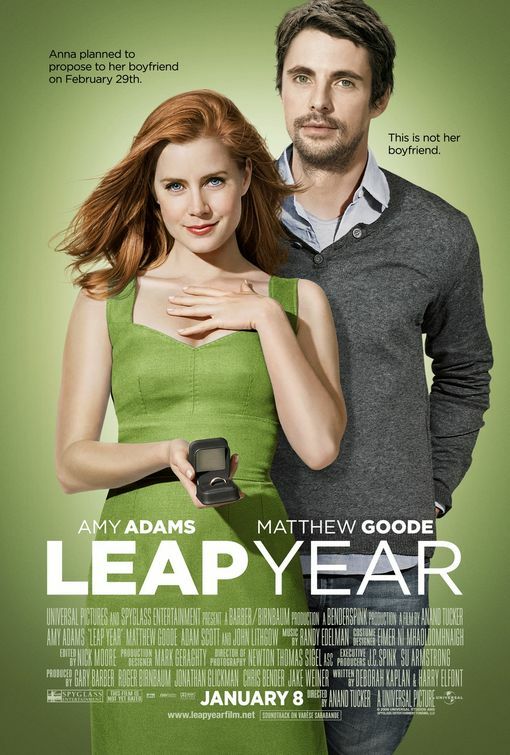 I know I’m LATE to this but…I loved Leap Year! The scene where she’s back in New York and the fire alarm goes and all he hunts for are the remotes and phones? Awww. SAD. Then she arrives back in Declan’s bar..SNIFF-O-RAMA!! My all time favourite movie, after the LOTR series, is Last of The Mohicans. Sa-woooon!! Daniel Day Lewis, yeah, but Eric Schweig as Uncas and Wes Studi? Yes, Magua was a bad guy. But maybe he just needed a hug? I did love the scene when Chingachgook sends Magua to his maker. Well choreographed battle scenes, well acted and sweepingly romantic. I’m not gonna lie–it’s been a L–o–n–g time since I’ve seen Last of The Mohicans. But I remember loving it. I think I need to watch that again soon. I thought I was the only person out there that liked “Leap Year.” Great music, on my “favorites” playlist.